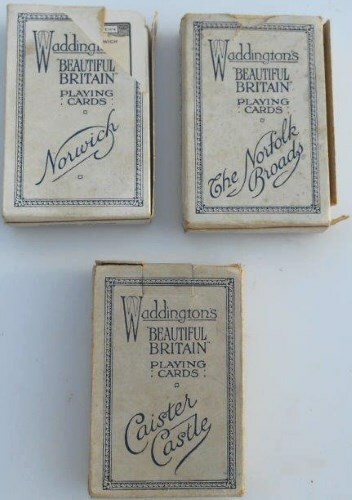 Lot 155B 1930'S WADDINGTON'S PLAYING CARDS - Three Packs Separately Boxed. One Boxed Pack Showing "NORWICH CATHEDRAL". One boxed Pack showing "NORFOLK BROADS" and One Boxed Pack Showing "CAISTER CASTLE". All in Excellent Condition.